Wiez Design & Construction is a residential custom design and construction company operating in Tampa and St. Petersburg Florida. With over 25 years in the home building industry, very few people have as broad knowledge of new home construction as Paul Wiezorek. Paul started working on construction plans for new homes and restoring historic buildings in Annapolis, Maryland in the late 1980's. Since then he has engineered roof and floor trusses, designed heating and cooling systems, sold hundreds of millions of dollars worth of real estate as a Broker Associate in Florida. Paul was also both Vice President of Sales and Vice President of Construction for a Tampa regional builder. He has spent the last twelve years selling, designing and building custom homes in South Tampa and St. Petersburg, Florida. Wiez Design & Construction is building some of the most beautiful designs in Tampa and St. Petersburg. Whether you already have plans, or have no idea where to start the process, Wiez Design & Construction can make the process easy and build your dream home. 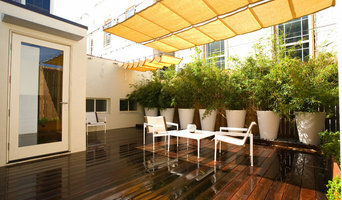 Premier Outdoor Living & Design designs and builds beautiful outdoor living spaces. 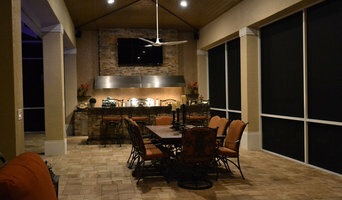 From outdoor kitchens to custom pools we do it all. Create paradise in your backyard with Premier Outdoor Living & Design. At, KHP Homes, we are dedicated to design and build your dream home the way you envision it. What makes our service so exceptional is that we are client and detail-oriented, always use high-quality materials, and complete our projects in a timely manner. We have earned our reputation for excellence because we build smart, green, and custom luxury houses that you will be proud to call home. There's no other place like home and we keep that in mind when we design and build yours. The most important part of building a home is making sure it is sturdy enough to last years of wear and tear. When we build homes we make it a point to ensure that the design will fit your lifestyle and needs. Every feature within your home is selected and implemented in a way to minimize stressors and annoyances so we can help you create a welcoming home environment. The first step in our building process is to establish a relationship with our clients so we can gain a better understanding of their lifestyle and of their vision of a dream home. Then, using time-proven methods, we begin to create the look and feel of your desired dream home. Building a custom home is always exciting. Not only for the home-buyer, but for us as well, because every home we build is unique. We take pride in our work and are dedicated to providing our customers with the utmost in service and quality. We take time to meet with you and understand your lifestyle, ideas and preferences so we can deliver a professional design of the architecture of your home. We can work within an established budget and we also offer professional guidance and solutions along the way. You can expect nothing short of excellence from KHP Homes, because we genuinely believe, every client deserves it. Since 1972, Olivera Construction has been building high quality custom homes while providing clients with uncommon technical expertise, uncompromising integrity and superior customer service. Olivera Construction is family owned and operated custom home builder by licensed professional engineers. We lead a talented team of designers, craftsmen and local artisans, who turn our clients’ designs into reality. Constantly innovating to improve our systems and processes, we emphasize well integrated, healthy and sustainable construction. Our designs reflect originailty, diversity and client desires. Our craftsmen are very experienced and well-trained in high-end construction, ensuring an excellent completion of both structure and detail. This attention to detail is our hallmark, from the plans, to the “sticks and bricks,” to internal systems, to the highly visible finish work. The result is that our projects are well built and have outstanding finishes, establishing their legendary reputation in the thriving Tampa Bay market. We are passionate about what we do, focusing in residential and commercial design. Design-build firms take on the responsibilities of architects, contractors and construction companies, all under one roof. These full-service firms focus on a streamlined design-build process — from the initial design to the estimating phase to physical construction — in the hope of creating an efficient experience for both the client and the company. Because the entire project is happening within one company, Saint Petersburg design-build firms are able to overlap the design and construction phases of the project, which often speeds up the project significantly. In addition, these firms work to minimize risks for the project owner through single-point responsibility contracts. However, depending on the firm, you may still want to contact an interior designer or architect to help create the exact look you want. Here are some related professionals and vendors to complement the work of design-build firms: Interior Designers & Decorators, Landscape Architects & Landscape Designers, Architects & Building Designers, Photographers. Before deciding on a residential design-and-build company in Saint Petersburg, FL, think about what you want from your new home. Do you want a large kitchen for entertaining? Do you need several bedrooms for children and guests? Do you want a finished basement for extra space or storage? Look for Saint Petersburg design-builders that specialize in the areas you're looking for. Budget is obviously a determining factor in the outcome of your project. To make sure you stay within your means, consider making a must-have list and a wish list. Gauge where the estimates are falling to determine which design-build contract can realistically strike the balance between the two. Find a Saint Petersburg design-build company on Houzz. Narrow your search in the Professionals section of the website to design-build firms in Saint Petersburg, FL. You may also look through Saint Petersburg, FL photos to find a pool you like, then contact the design-build firm that created it.